Contractor Gary Lack leads the discussion during Saturday’s workshop at Cleveland Lumber Company. When nearly every hand shot up, Lack immediately knew his audience. 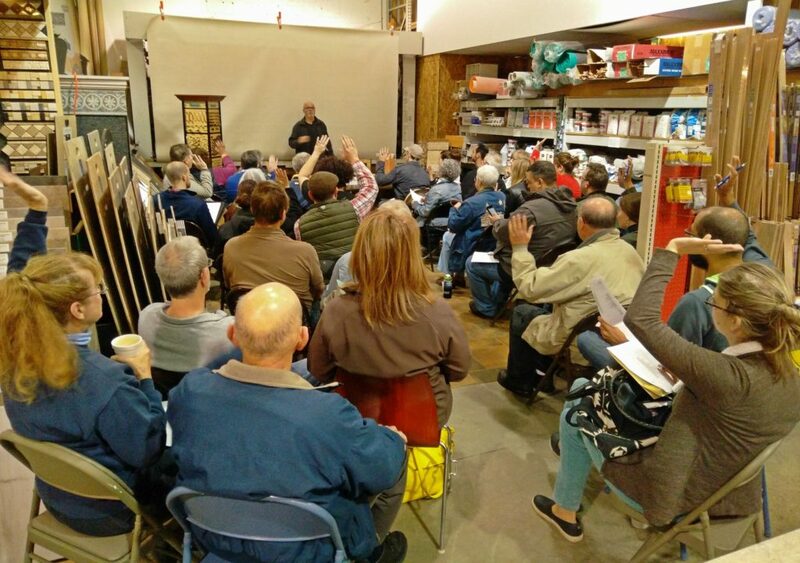 “This must be a Lakewood crowd.” It was a packed house and a Lakewood group indeed when 40 attendees gathered for LakewoodAlive’s “Knowing Your Home: Bathroom Remodeling” workshop on Saturday morning, Oct. 22, at Cleveland Lumber Company. Lack led an insightful discussion regarding best practices for upgrading a residential bathroom. It’s been said that patience is a virtue, and this famous proverb often applies to remodeling. Lack recommends new homeowners refrain from undertaking a major project, bathroom-related or otherwise, during their first year within their residence and instead take that time to learn about the house. When it comes to your bathroom remodeling project, planning is incredibly important. The average bathroom project takes 18 business days to complete, according to Lack, but adequate planning must occur prior to that. Whether hiring a contractor or embarking upon a DIY project, be sure your design plan is drawn out in advance. 3. Be prepared for additional costs. There are unknowns involved with a bathroom remodeling project. As such, it’s necessary to plan for unexpected costs. This is especially true when you opt to demo rather than maintain the existing framework of your bathroom, as you simply don’t know what awaits behind walls and under flooring. 4. Seek expert help when necessary. Design accuracy is particularly important in small spaces like bathrooms, where there is little margin for error. If your project involves altering the footprint of your existing bathroom, it’s probably worthwhile to seek guidance from a design builder or architect. 5. It’s okay to take a gradual approach. Sometimes you need to complete a bathroom remodeling project piecemeal due to budget constraints. This approach typically works fine – so long as you plan ahead and map out the project in appropriate phases. By taking a gradual approach, you can stay on budget and ultimately enjoy a much-improved bathroom. When the weather starts to turn cold, it becomes a hot topic. How can you succeed with heating your home in an efficient and affordable manner? 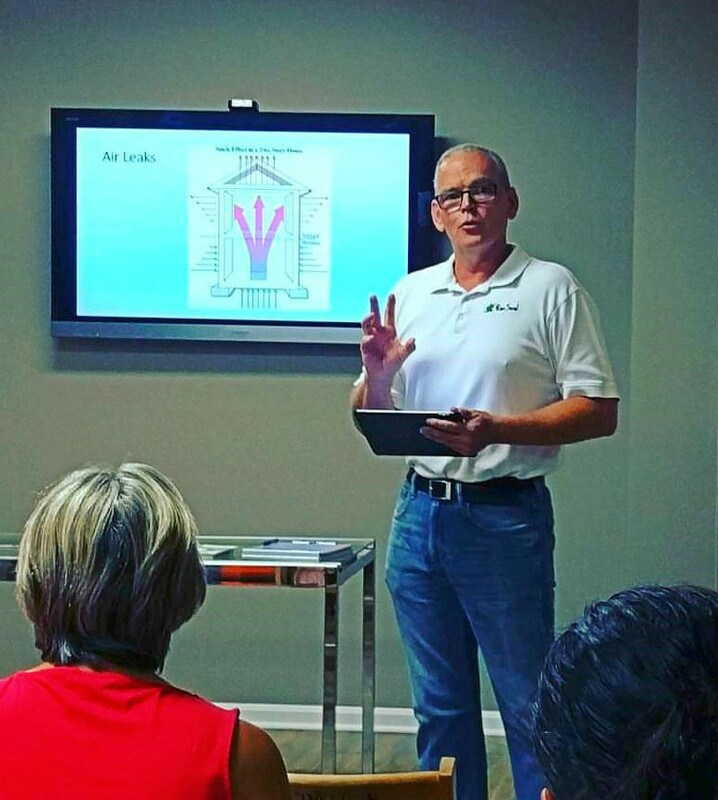 Dave Slife of Slife Heating & Cooling led a discussion regarding heating system options during LakewoodAlive’s latest homeowner education workshop on Saturday, Oct. 8. “Knowing Your Home: Heating System 101” saw attendees gain insight into everything from furnace filters to steam heating to insulation. 1. Change your furnace filter regularly. For those with forced air heating systems, one of the most important maintenance tasks involves changing your furnace filter regularly. This will help ensure cleaner air, prevent your furnace from overworking and improve your HVAC system’s efficiency. A good rule of thumb is to check your filter monthly during the heating season and to change it whenever it’s dirty. 2. Be knowledgeable about your hot water and steam heating system. Some older homes, such as those found in Lakewood, have hot water and steam heating systems with boilers and radiators. Such systems have both pros (fairly durable if maintained, provide clean and dust-free heat) and cons (less efficient and less even heating) associated with them. Regardless of whether you ultimately opt to maintain your steam heating system or seek to replace it with forced air or another system, it’s worthwhile to have it inspected by an experienced technician prior to the start of winter. 3. Adequate insulation goes a long way. Ensuring your home is sufficiently insulated represents one of the top ways to save on energy costs. Through the end of the year, Dominion East Ohio is performing Home Energy Assessments for $25 (normally $50), which includes evaluating your heating system, insulation levels, water heater, windows and doors. Dominion East Ohio will perform a blower test to check for leakage and will test combustible appliances. For more information, call 877-287-3416 or visit deohpwes.com. 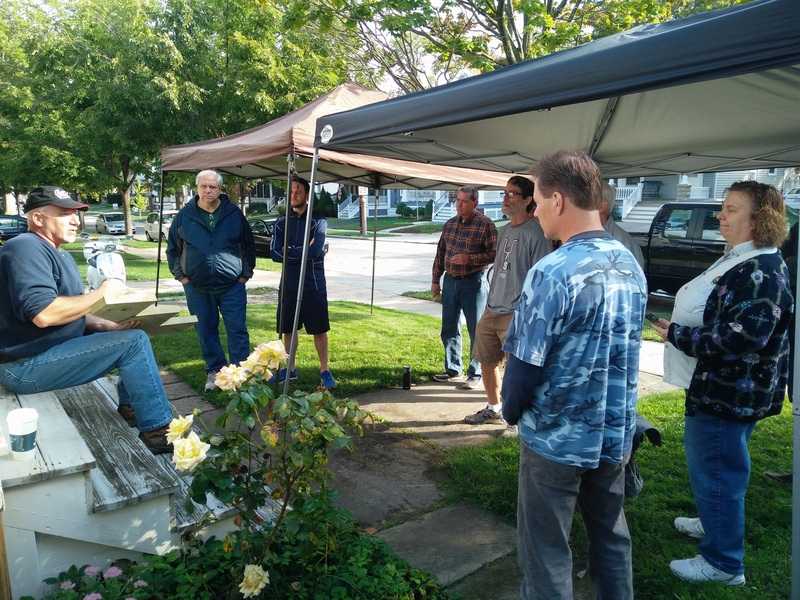 A group of area homeowners took the first step towards upgrading their porch steps on Saturday, Oct. 1, when they attended LakewoodAlive’s latest home maintenance workshop. Led by seasoned builder John Turner, “Knowing Your Home: Wooden Step Repair and Replacement” featured an on-site presentation providing a step-by-step approach to repairing and replacing wooden steps. Participants gained valuable insight into the design and implementation of a step replacement. Builder John Turner leads an onsite presentation regarding wooden steps. 1. Weigh various factors when determining whether to attempt a DIY project. If you opt to replace your wooden steps yourself, plan to purchase 20 percent more materials to account for mistakes, and be prepared to invest in necessary tools, such as a power saw. In some cases, these don’t represent worthwhile investments and you’re better served to hire a contractor. 2. Know the specifics pertaining to Lakewood. When it comes to repairing or replacing wooden steps in Lakewood, it’s important to note that the City of Lakewood does not require a permit, since the use of footers will not be necessary for this particular project. Additionally, in Lakewood it’s worthwhile to recognize that the northwest corner of buildings tends to stay damp, and thus you might require extra protection from moisture if you’re working with steps located in this cardinal direction. 3. Follow the 7-11 rule for steps. A good rule of thumb for step construction involves adhering to the 7-11 standard, meaning a 7-inch rise and an 11-inch run. This guideline has long been considered consistent with the average human stride. Utilize an online calculator to assist with determining rise over run ratios. 4. Implement a negative pitch to your steps. It’s generally considered a best practice to incorporate pitch into your steps to encourage water drainage. But rather than utilizing a positive pitch, consider implementing a negative pitch. This will help minimize the risk of a slippery slope occurring when ice forms on your steps during winter. 5. Wait to paint your steps. Allow your new treated wooden stairs to age a bit and turn gray, then proceed with priming and painting them. When installed properly, a wooden staircase can last 10-15 years or more, affording your home both tremendous functionality and aesthetical value. It was a window into the future of, well, windows. Homeowners in attendance at LakewoodAlive’s free workshop on Thursday, Sept 22, entitled “Knowing Your Home: Windows – When to Repair & When to Replace” were treated to a crash course regarding windows led by seasoned builder Fred Cortright. With a focus on wooden windows, this workshop covered topics ranging from the anatomy of a window to how to maximize your windows’ efficiency to determining whether to repair or replace your old windows. 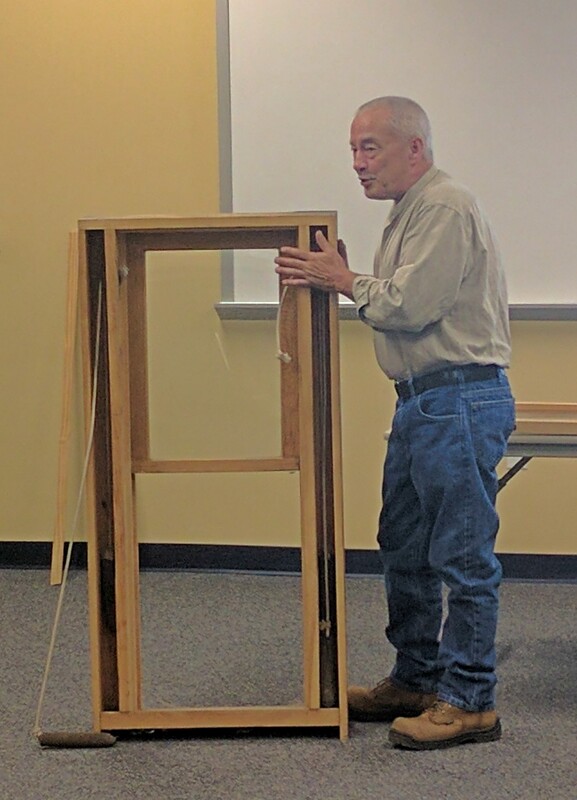 Builder Fred Cortright shows off a wooden window during LakewoodAlive’s workshop. 1. Adequate insulation is of paramount importance. When it comes to energy efficiency in the home, achieving proper insulation should be your top priority as a homeowner. Insulation is where true energy cost savings occurs, and without having adequate insulation your windows won’t accomplish anything for you. Consequently, it’s worthwhile to pursue a home energy assessment. Dominion East Ohio’s audit program takes a comprehensive approach to help boost your home’s comfort and long-term value, while keeping your energy bills in check. For a special rate of $25 through the end of September (valued at $500), your home will be evaluated as one interconnected system to understand exactly how it’s using energy. Visit deohpwes.com for details. 2. Older can be better. Most Lakewood homes were built prior to 1950 and were constructed from old-growth wood. The trees utilized for construction grew for a long time, and thus produced more durable wood. Homes built since 1960 are typically composed of new-growth wood, which was grown quickly and lacks comparable durability. By maintaining your home’s old-growth wood windows, you can help ensure your residence is equipped with durable windows that should last for a long time. 3. The best investment is often investing in the windows you already have. Generally-speaking, it’s more cost-effective to repair your existing old-growth wooden windows rather than replace them with new windows. On average, replacement windows (including installation) nowadays cost approximately $800 per window. If you were to restore or repair your wooden windows, you’d likely save several hundred dollars per window and maintain windows that could potentially last another 100 years. There are often simple fixes to modernize your existing windows and make them more effective. In addition to the financial benefits, window replacement also wins out from an environmental standpoint. 4. Storm windows are your friend. The most significant cost savings typically occur from installing storm windows and maintaining them properly. Storm windows serve as a buffer for preventing wind and other elements from impacting your home. While homeowners previously only had exterior storm windows, interior storm windows now represent a viable option as well. In order for your home’s storm windows to prove truly effective, they should be professionally installed with airtight sealing. 5. Keep perspective, budget properly and be ready to prioritize. There’s no magic formula when it comes to determining how to handle your home’s window needs. Since new windows tend to be expensive, it’s worthwhile to developing a prioritization plan with a gradual approach based on your budget should you opt to pursue window replacement. Additionally, it’s important to maintain realistic expectations. New windows won’t save you hundreds of dollars in monthly energy costs when you don’t spend that time of money of energy costs to begin with. But when you succeed with making the best decision based upon the various factors impacting your home, you can better ensure your windows work for you. What’s overhead at your home? A group of homeowners and industry professionals spent an evening last week seeking to get on top of this question. LakewoodAlive’s latest “Knowing Your Home” workshop tackled roofing and insulation. LakewoodAlive partnered with 1st Choice Roofing and Pure Seal to host “Knowing Your Home: Roofing & Insulation Options” on Thursday evening, Aug. 25. The 10th installment of 2016 for LakewoodAlive’s popular workshop series featured discussions regarding energy efficiency, innovative roofing materials and the benefits associated with equipping your home with modern insulation technology. 1. Secure an energy audit for your home. If you haven’t done so already, now’s the time to pursue a home energy assessment. Dominion East Ohio’s audit program takes a comprehensive approach to help boost your home’s comfort and long-term value, while keeping your energy bills in check. For a special rate of $25 through the end of September (valued at $500), your home will be evaluated as one interconnected system to understand exactly how it’s using – and wasting – energy. Your auditor will review your home’s heating system, water heater, insulation levels, windows and more. Visit deohpwes.com for more details. 2. Consider installing energy-efficient shingles. Ideally, your attic and roof surface temperatures should remain within five to eight degrees of the remainder of your home, even when your attic is not being utilized as a living space. For many homeowners, however, this temperature consistency does not exist. Americans spend billions annually to air condition buildings. By installing energy-efficient roofing shingles that deflect more of the sun’s rays, you can decrease the amount of heat entering your home through the roof and dramatically reduce your roof’s surface temperature. This will enable you to achieve more consistency between your home’s temperature and that of your attic and roof. 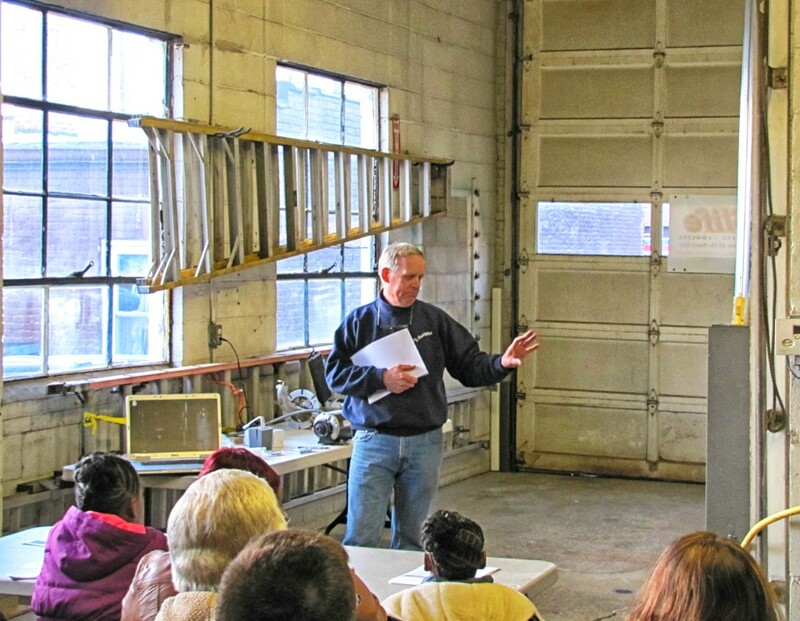 The latest installment of LakewoodAlive’s workshop series featured a discussion regarding innovative roofing materials. An ice dam is an ice build-up on roofs of buildings which may cause water damage to the building if the water leaks through the roof. By ensuring your roof features a modern ice and water shield, you’ll have peace of mind knowing a waterproofing membrane is in place to help prevent ice backup on your roof during the winter. 4. Be wary of DIY insulation projects. Don’t attempt a DIY insulation project unless you truly know what you’re doing, or have the assistance of someone who does. Torsten Hansen, owner of Pure Seal, a Mentor-based foam insulation company, indicated he has witnessed numerous occasions in which homeowners were forced to spend thousands of dollars to undo improper insulation work. A professional insulation service will evaluate your need, provide homeowner consultation and utilize a proven technique such as foam insulation and air sealing to insulate your home. Contractors also have insight and knowledge regarding various types of insulation, best practices and return on investment, helping homeowners make informed decisions. 5. In general, Lakewood homes are well built. Good news, Lakewood homeowners – generally-speaking, your homes are well built. There’s a reason many Lakewood homes have existed for close to 100 years or more. Much of the city’s housing stock was built with intentionally-porous materials that allow for adequate air exchange, keeping the wood comprising a home’s structure healthy and dry. When implementing insulation to improve energy efficiency, it’s important to recognize that your home’s air exchange must be maintained. An increased moisture level can ultimately cause problems for beautiful, old homes like those found throughout Lakewood. An eco-friendly idea is sprouting in urban areas, and area homeowners might have an opportunity to participate. While much ground-level greenspace within our cities has already been utilized, acres upon acres of untapped potential for greenery exist overhead. 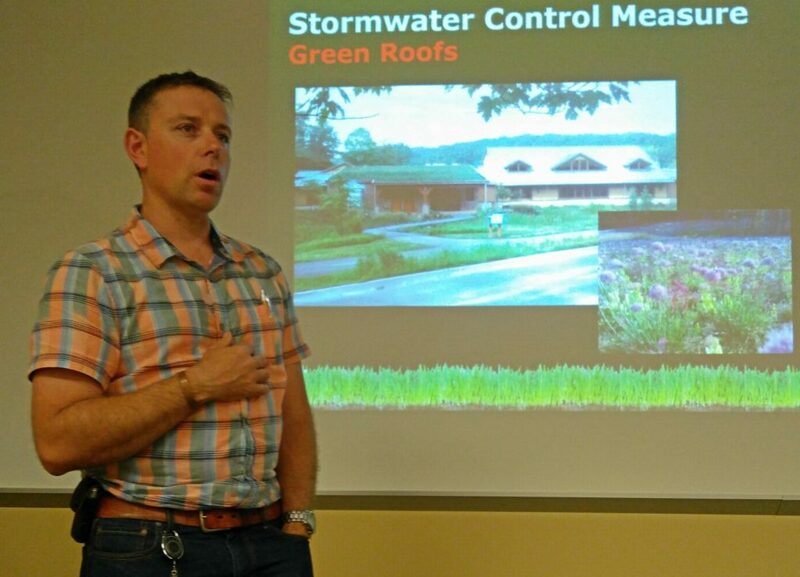 The latest installment of our home educational series explored the benefits and challenges associated with living roofs. Prior to Thursday night’s Cleveland Cavaliers’ victory, LakewoodAlive hosted its “Knowing Your Home: Living Roofs” workshop at The University of Akron Lakewood. The ninth installment of 2016 for this free home educational series explored the benefits and challenges associated with living roofs – those building roofs that are covered with vegetation and a growing medium. Following introductions by LakewoodAlive Board Member Kerri Rodgers and LakewoodAlive Housing Outreach Director Allison Urbanek, the podium belonged to J. Meiring Borcherds, Program Coordinator for the Cuyahoga County Board of Health, who spent more than an hour discussing the merits of this emerging green technology. The green roof concept has gained momentum in our region’s commercial building industry, yet few residential examples exist so far among Northeast Ohio homeowners. “Everyone wants the Earth to be a happier, healthier place, and this evening we’re venturing into a green strategy that’s relatively new for our city,” Urbanek told the Lakewood-area homeowners in attendance. “Thank you for caring about the environment and thinking forward.” Lakewood Garden Center furnished an array of succulent plants for Thursday’s workshop to serve as prime examples of living roof vegetation. 1. The environmental benefits to living roofs are numerous. From reducing stormwater runoff to filtering pollutants from the air to creating natural habitats for wildlife, the environmental advantages to living roofs are as diverse as they are plentiful. Borcherds described how living roofs help mitigate the “heat island” effect often experienced in urban areas by radiating heat away from buildings and reducing the temperature in the immediate environment. 2. Various examples of living roofs already exists in Northeast Ohio. Although the potential for living roof installation by homeowners in our region remains largely untapped, there are many examples of commercials buildings already boasting this green technology. These include the Cleveland Convention Center in downtown Cleveland, the Cleveland Metroparks’ Watershed Stewardship Center in Parma and the Nature Center at Shaker Lakes in Shaker Heights, to name a few. Lakewood Garden Center furnished an array of succulent plants for Thursday’s workshop to serve as prime examples of living roof vegetation. 3. Lakewood’s steeply-sloped roofs are capable of supporting this green technology. Many buildings with living roofs have only minor slopes, yet this technology can also be accomplished with Lakewood’s older housing stock, much of which features steeply-sloped roofs. Need proof? Simply consider Germany, which has a reputation as a leader in living roofs despite having many homes with roof structures similar to that of Lakewood’s housing stock. Please contact Urbanek at 216-521-0655 for recommendations regarding which local roofing companies can supply and install living roofs. 4. There are potential economic benefits to living roofs as well. In addition to positive environmental impact, living roofs can also assist homeowners economically. It’s anticipated that cities will increasingly impose stormwater runoff fees in the future, and a living roof could help you manage this expense. Moreover, Borcherds estimates living roofs can last 10 years longer than traditional roofs because of the insulation and protection these roofs are afforded. 5. The emerging popularity of living roofs is…through the roof. Like a classic Lakewood home with strong bones, the living roof concept is not going away anytime soon. According to Green Roofs for Healthy Cities (GRHC), the green roof and wall industry association, the living roofs industry grew 18.5 percent in 2015, with its popularity expected to continue skyrocketing in the coming years. The potential of that fiery orange sphere in the sky is nearly limitless. When it comes to energy efficiency, the sun has the power to be our greatest ally as homeowners. 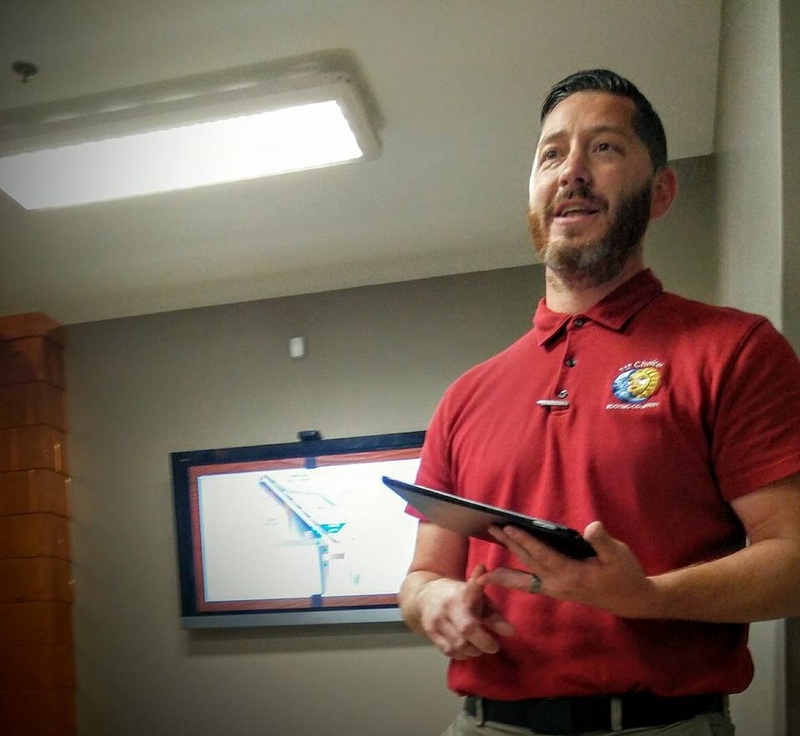 That was the premise behind the “Knowing Your Home: Solar 101” workshop held Saturday morning, June 11, at a private residence at 2147 Dowd Avenue within the Historic Birdtown Neighborhood. Approximately 30 area citizens attended the latest installment of LakewoodAlive’s home educational series seeking to explore the merits of outfitting a home with solar power capabilities in order to harness the sun’s energy-emitting rays. Rob Martens, President of Bold Alternatives, led a presentation during Saturday’s workshop. 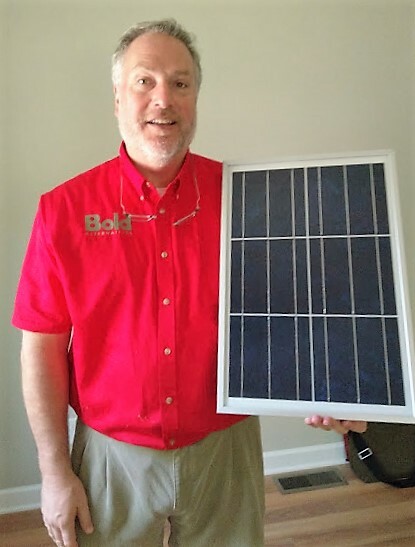 Following opening remarks by Mike Foley of the Cuyahoga County Department of Sustainability, Rob Martens, President of Bold Alternatives, the largest solar installer in Northeast Ohio, provided a presentation regarding solar energy solutions and best practices available to homeowners. He received assistance from Myles Murray, President of AAT Solar, another locally-based solar power provider. Throughout their presentation and the ensuing tour of the host residence that had been equipped with solar power by Bold Alternatives, Martens and Murray imparted knowledge detailing the many benefits associated with solar power, explaining why this green technology represents the future of electrical energy. 1. The sun produces an incredible amount of energy. It’s difficult to grasp the enormity of the energy potential the sun affords our planet. According to Martens, the amount of solar energy that hits the Earth’s surface in 40 minutes equals the total annual energy consumption of all the world’s people. Or put differently, 27 years’ worth of worldwide energy consumption equals only one day’s worth of solar energy reaching the Earth. However, only a fraction of the sun’s potential energy production is currently leveraged as an energy source for electricity. “If we could convert some greater portion of the sun’s energy to electricity, that would be a tremendous benefit to society,” said Martens. Northeast Ohio may experience its share of overcast days, but make no mistake: Our region is positioned well to capitalize on solar power. Although our solar power generation is approximately 20 percent less than that of Florida, our capability is about 20 percent more than that of Germany, which represents one of the world’s leading countries for solar power installations. Moreover, even though solar production is slightly less efficient in Ohio when compared to other parts of our country, solar panels tend to last longer here since they don’t endure exposure to intense sun or saltwater. The residence at 2147 Dowd Avenue with solar power capability is expected to go on the market in the coming weeks. The benefits of solar power range from longterm cost savings to durability to reduced environmental footprint. Solar power systems typically have a service life of 30-50 years, yet only require approximately a decade of usage to realize a return on investment. Solar energy has proven safe, quiet, reliable and low-maintenance. Additionally, installation of solar panels can have a significant impact on home value. A study conducted by the National Appraisal Institute indicates that for every $1,000 saved in your annual energy costs, $20,000 is added to the value of your home. There’s no denying that solar panel installation represents a sizable investment that can cost homeowners $15,000 or more. However, between financing options, federal investment tax credits and community cooperative discounted solar purchasing programs such as those offered by Bold Alternatives and AAT Solar, many strategies exist to make the upfront cost of this alternative energy technology more manageable. The cost burden for achieving solar power need not be insurmountable. 5. The home at 2147 Dowd Avenue will soon be on the market. Want to take advantage of solar power without having it installed at your current residence? Well, you might be in luck. 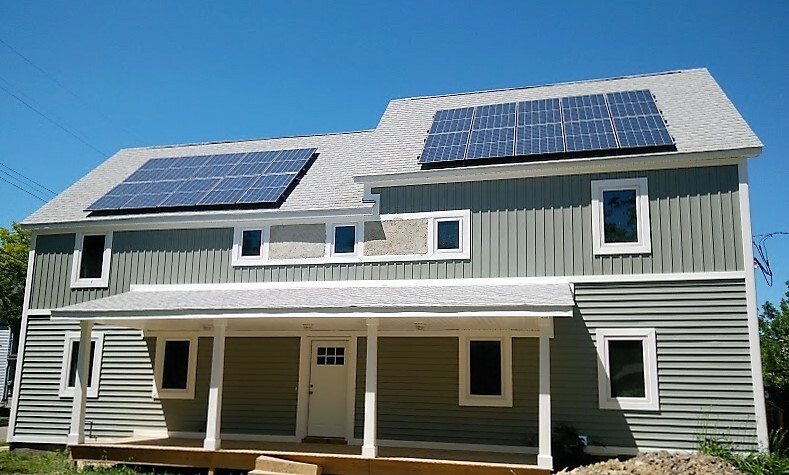 The City of Lakewood purchased the home at 2147 Dowd Avenue in 2013 and has spent the last several years converting it from four apartments into a single-family home, as well as creating an energy-efficient residence through the installation of solar panels. The City of Lakewood anticipates putting this home up for sale within the next month. Despite the massive renovation, 2147 Dowd Avenue retains its century-home charm and continues to fit well within the fabric of the Historic Birdtown Neighborhood. Lakewood’s known as the “City of Beautiful Homes,” yet as many residents have discovered, maintaining our renowned-yet-aging housing stock requires more than a little TLC on the part of homeowners. 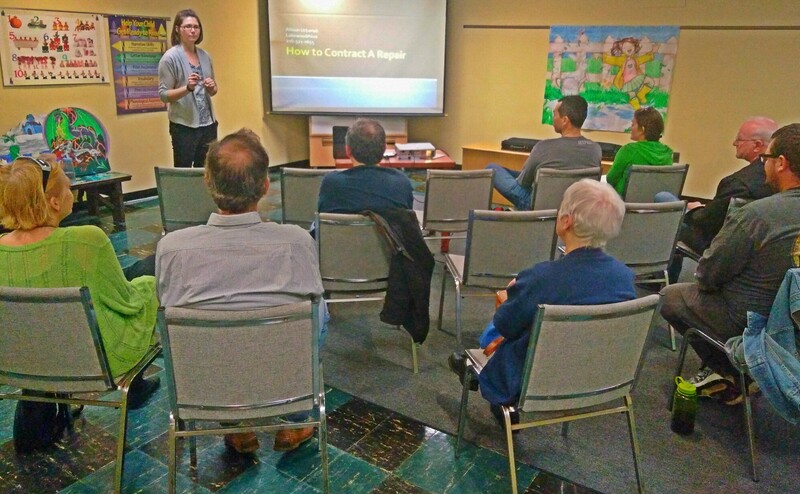 It’s for this reason that LakewoodAlive hosted its annual free workshop – Knowing Your Home: How to Contract a Repair – on Thursday evening, May 19. The latest installment of the home educational series drew area homeowners to the Lakewood Public Library-Madison Branch to share home repair insights and learn from past horror stories. Where should you turn upon discovering your residence requires a professional repair job? It’s a question many Lakewood homeowners have pondered. But rather than blindly searching the Internet, it’s worthwhile to start by contacting Allison Urbanek, LakewoodAlive’s Housing Outreach Director and host of Thursday’s workshop. “First and foremost, I’m here to serve as an advocate for you and your home,” Urbanek told attendees. Formerly employed by the Home Repair Resource Center in Cleveland Heights and now the proud owner of a “fix-upper” in Lakewood, Urbanek has extensive experience with assisting Lakewoodites through the repair process. Allison Urbanek, LakewoodAlive’s Housing Outreach Director, addresses attendees at Thursday’s Knowing Your Home workshop. The Housing Outreach Program is your one-stop for your housing repair needs. Lakewood’s homes are beautiful and they are old. Basic home maintenance can avoid costly repairs later down the road. Start with research on what trees and shrubs you have in your yard. If you’re not sure try doing internet searches or head to your local garden center to ask a few questions and share a few photos. By knowing what you have in your yard, you can be aware of what to search when looking for more information regarding diseases, pruning tricks, longevity etc. When pruning, the best job is when you cannot tell that you’ve pruned. In any one season, never remove more than one third of the plant at one time. Do your homework when you are shopping for trees and shrubs. Know how big they will get- make sure that you are planting what you want, where you want so that your home doesn’t get swallowed up! Poor air circulation is not good for your plants, so make sure to clean out and thin out your plants, allowing for growth, sunlight and air to move through your plants. Landscaping should compliment your house, not cover it. A very big thank you to Bob Rensel for another wonderful presentation. When considering a roof replacement, you need to take your materials into consideration-i.e. if you have a slate roof has it been maintained well? Perhaps with a proper maintenance plan it can be affordably maintained or if it hasn’t been maintained, is the cost to repair it going to be a realistic repair? Attic Spaces- If you are considering a new roof, make sure to research ventilation options and what will work best for your home- Box vents, ridge vents and do you have proper soffit ventilation? Bathrooms- Do you have proper ventilation? Do you have a fan to take out the heat and moisture? 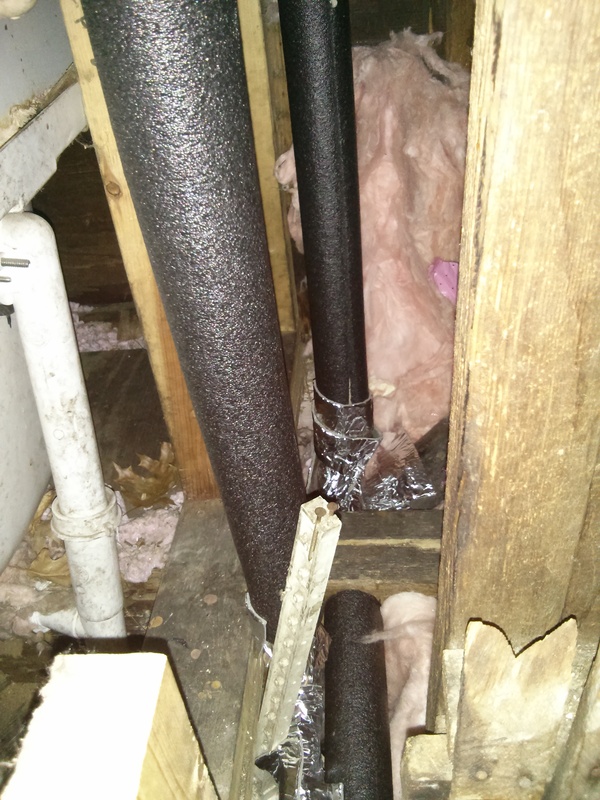 Does the vent go outside or does it vent into your attic space causing mold and mildew? Structural Issues- Do you have cracks in your foundation? Are they vertical or horizontal? Horizontal cracks are concerning, call a professional to come and have a look at them. Vertical cracks may just be the house settling. Keep an eye on them and notice what is happening around them- is there water after a big rain? Are you seeing efflorecence or other bubbling, peeling or buckling? These are just a few tips and thoughts for consideration. Below you will find the full presentation. Don’t hesitate to reach out to Allison, our Housing Director or Inspection Tech with any questions you may have regarding your home repairs. That pesky draft finally did me in! I don’t know about you, but appliance shopping stresses me out almost as much as car shopping. When should you throw in the towel and just replace something instead of trying to fix it? Around my birthday last year my dishwasher stopped working. We weren’t sure how old it was but thanks to technology we were able to google the product number and determine that the model itself was over 20 years old, which would make sense because the beast sounded like a freight train. To repair or to replace became the hot topic around the house. My husband kept tossing around just waiting a little while to do anything, (gee…I wonder why… dishwashing is not one of his household chores.) Waiting was definitely not an option. Upon further examination, my dishwasher had been leaking slowly down to the basement and actually rusted out one of the valves on my plumbing pipes, so replacement went out the window, it was time to replace the inefficient hunk of metal. Now, I am not sure if you’ve shopped for a dishwasher recently but they’ve come a long way in the past twenty years. The most noticeable difference is how light they’ve become, I think that my grandma could have lifted the machine over her head. Ok, so that is a bit of an exaggeration, but it was alarming to me how light they were. So this added to the stress questions like “How much should we spend?,” “ Do we need LED lighting and stainless steel on the door?” All of these questions kept floating through my head. So we decided to begin the online research and window shopping approach, commission vs. noncommission shopping also became a focus. I became very disappointed with the commissioned sales people, I would give them my budget (which was $300-$700) and they automatically tell me that they had nothing in my price range and to check out this model that happened to be over $1,000. We figured out the bells and whistles that we wanted- a ‘clean’ light, front panel buttons and a ‘delay’ button allowing me to load up and forget it and it could run while we were sleeping. We did our research online and found a brand and a look that worked for us and began our search for the best price. We found that most stores will price match with proof from the other store. We also really liked the floor model option because it offered a great discount and allowed to try out the dishwasher to see how we liked it. We ended up right in the middle of our budget and even got a smudge-proof stainless door (score!) The moral of the story became that we needed to do a lot of front end research, and with most things, know what we were looking for before we got there. The noncommissioned sales people stores were very helpful and were willing to sit with us as long as we needed to all of our questions answered. Check out a few helpful websites that will help you take the guess work out of appliance shopping. Consumer Reports can be helpful, while it is a pay website, you can still gain access to helpful information without paying the subscription fee. Good Housekeeping prides themselves on their seal of approval. Their website has a lot of great info on several types of appliances. Houselogic has a very handy guide to determine if you should repair or replace your appliance. If you do use an air conditioner, make sure to have it routinely maintained and always check the filter to make sure it is clean. Here are a few tips to help you naturally maintain and improve your yard. Check out this helpful article from This Old House and make sure to stop up and see our friends at Lakewood Hardware and Lakewood Garden Center to find earth and family friendly products. Check out this article from the SF Gate to find out how to make your weeding life a little easier.